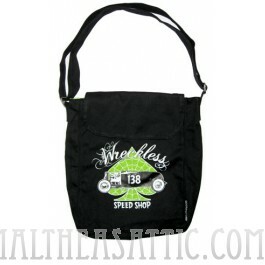 Black canvas carryall bag with WRECKLESS SPEED SHOP logo and a 138 rat rod on the front. 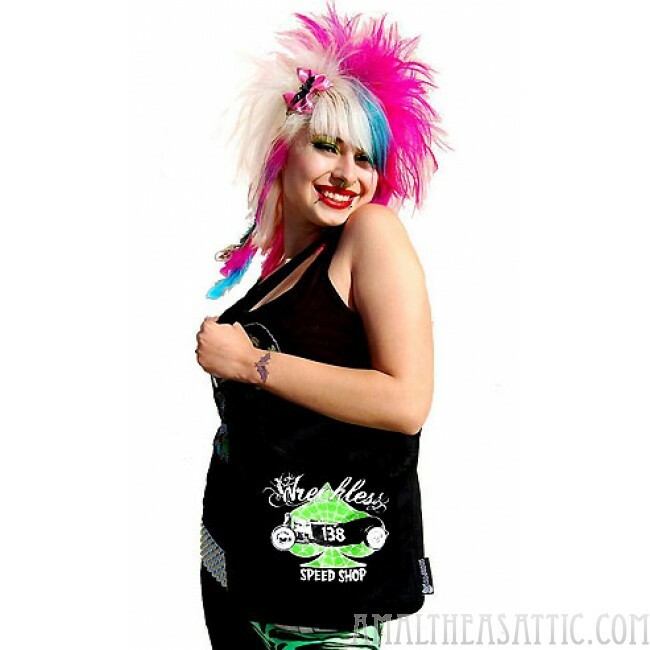 Brilliant lime green liner. Perfect for toting those back to school goodies. 9 3/4" by 13 1/2" by 3 1/2"